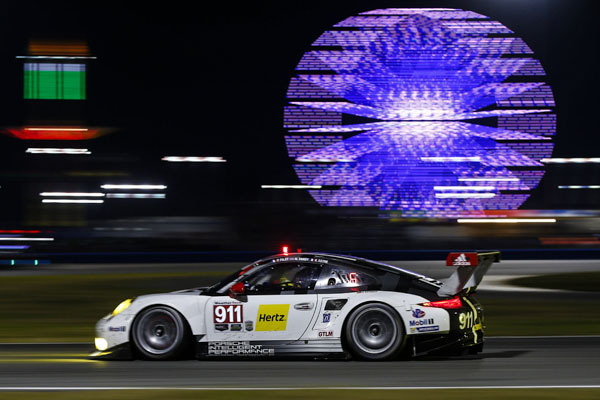 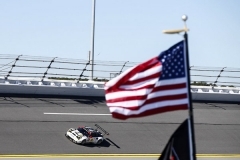 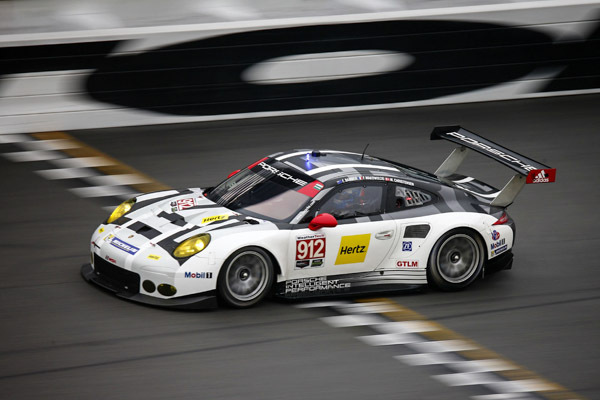 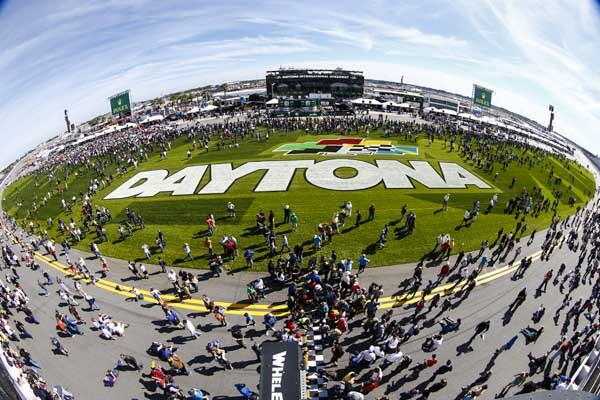 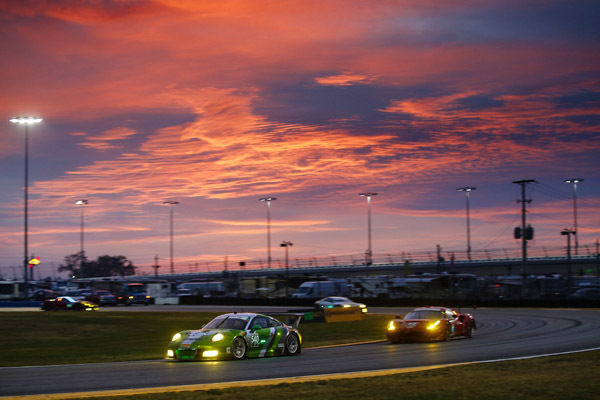 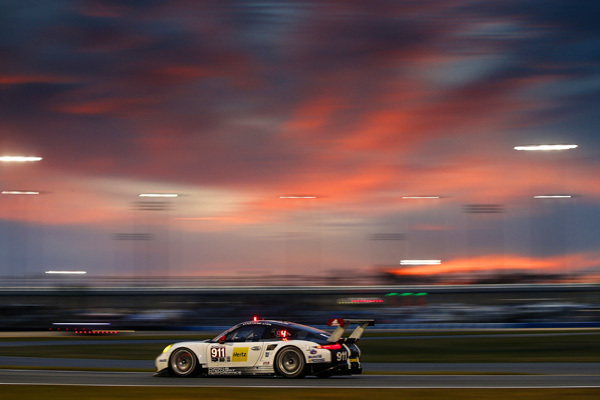 After 24 hours on the Daytona International Speedway, Earl Bamber missed out on victory by just twelve seconds. 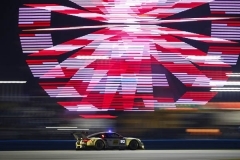 Driving the Porsche 911 RSR of Porsche North America, the Le Mans winner from New Zealand had held the lead at the long distance classic in Florida up until 36 minutes to the flag. 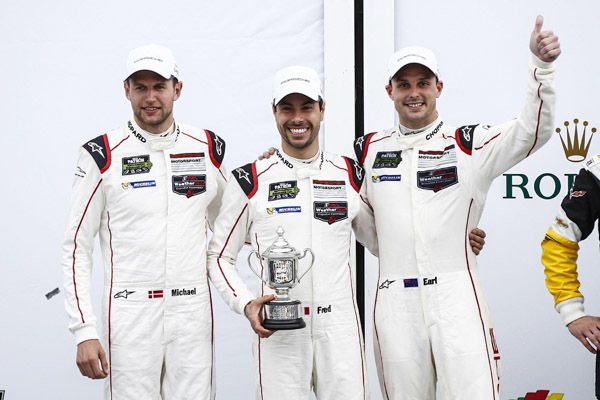 After a fierce battle with gripping wheel-to-wheel duels, he and his teammates Frédéric Makowiecki (France) and Michael Christensen (Denmark) took the flag in third place and earned all-important championship points to kick off the season. 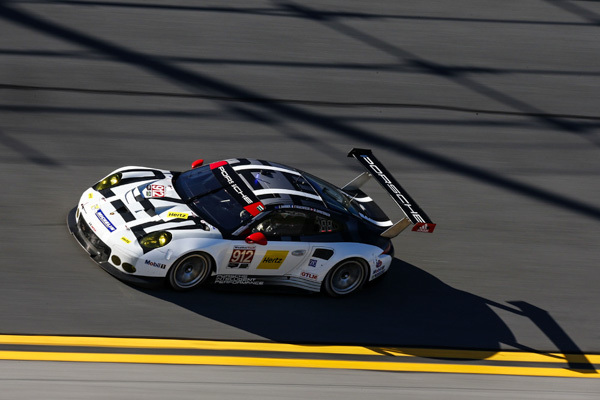 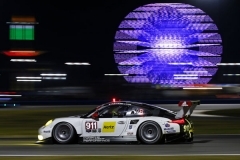 The second podium spot for Porsche at Daytona went to the new Porsche 911 GT3 R campaigned by the Black Swan Racing customer team in the GTD class. 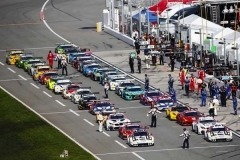 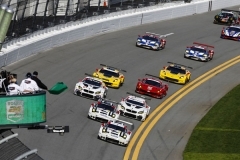 At the traditional opening race of the IMSA SportsCar Championship, the GT classes in particular were immensely competitive and exciting down to the wire. 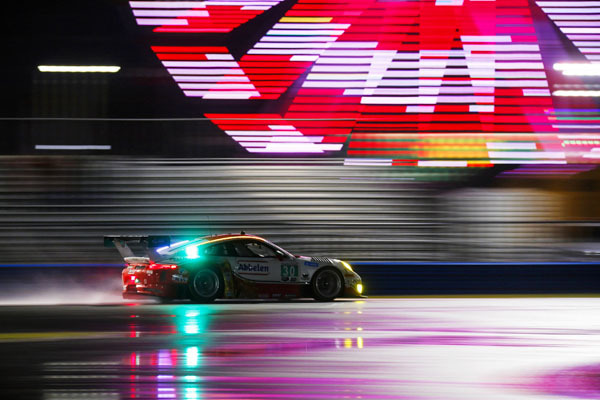 Breathtaking fights for positions and constant changes at the lead treated fans lining the world famous racetrack to some enthralling motor racing, day and night. 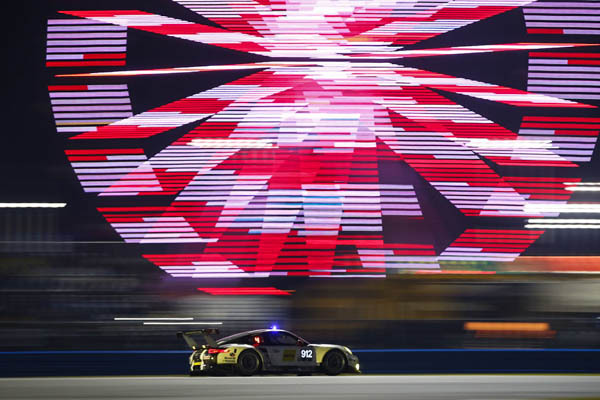 Right up until the last hour of racing, none of the competitors were able to build a decisive gap. 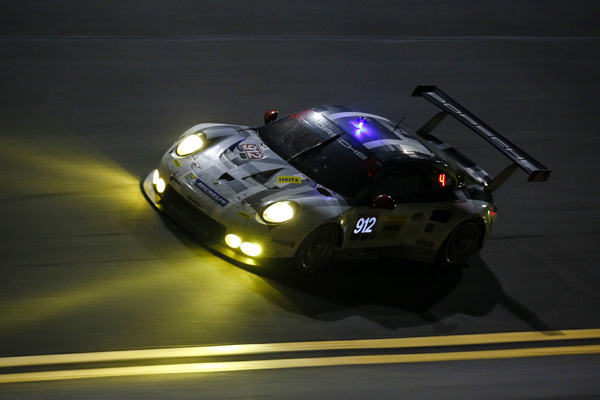 In the end it came down to a nerve-wracking three-way battle between the Porsche 911 RSR with Earl Bamber in the cockpit and a pair of Chevrolet Corvettes. 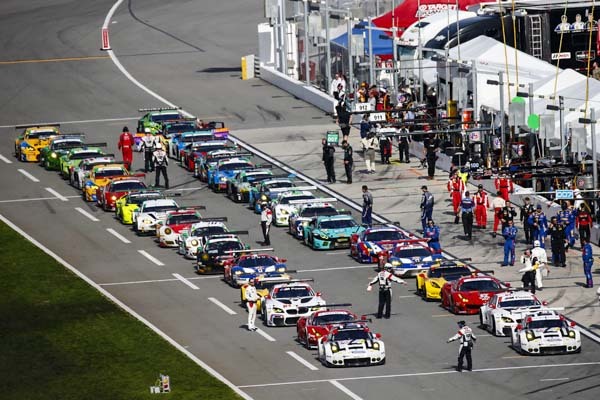 By this stage, BMW and Ferrari were no longer in contention. 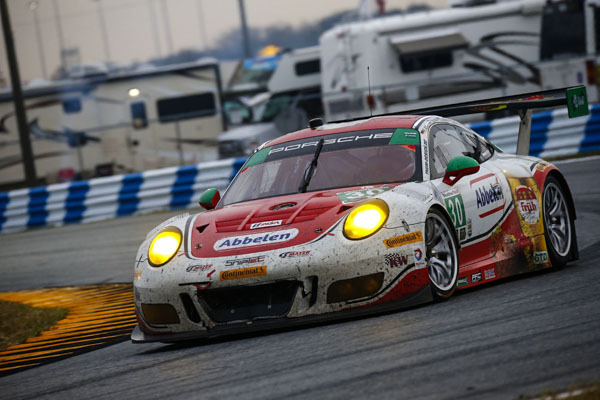 After the last round of pit stops, the 470 hp 911 RSR, which underwent modifications, particularly to the aerodynamics, to comply with the new regulations of the most import sports car championship on the North American continent, held a narrow lead. Despite Earl Bamber’s valiant assault, he had to let both Corvettes overtake him, and went on to score the last podium step. 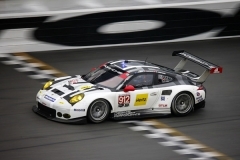 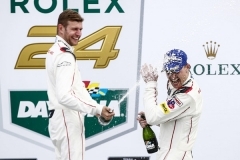 In the sister 911 RSR campaigned by Porsche North America, Le Mans winner Nick Tandy (Great Britain) had started from pole and taken the lead of the strong GTLM field, which his French teammates Patrick Pilet and Kévin Estre also managed to defend. 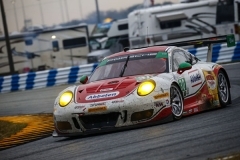 But with five hours of racing to go, their 911 RSR with the starting number 911 was hampered by a faulty drive shaft which relegated them down the pack to finally finish on eighth place. However, they too took home important championship points from Daytona. 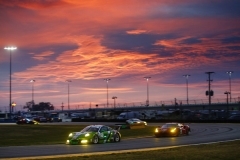 The new Porsche 911 GT3 R mounted with the new ultra-modern four-litre flat-six with direct fuel injection celebrated a successful racing premiere at the 54th edition of the long distance classic. Competing in the 500 hp customer racer from Weissach for Black Swan Racing, Porsche works driver Patrick Long (USA), his compatriots Timothy Pappas and Andy Pilgrim as well as Dutchman Nicky Catsburg secured second place. 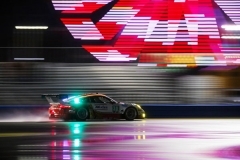 Porsche has designed the 911 GT3 R for worldwide GT3 series based on the production sports car 911 GT3 RS. 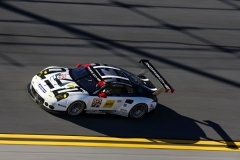 In developing the vehicle, the engineers at Weissach paid special attention to lightweight design, improving aerodynamic efficiency and reducing fuel consumption.